Published October 14, 2013 at 593 × 383 in Motorcycle Photo Gallery. In the spirit of 1970s fuel conservation.. This was also my brother’s, also in my safe-keeping. 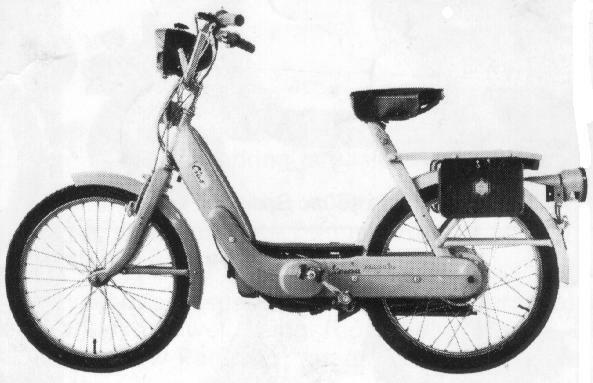 50cc 2-stroke engine was started by pedaling. Had a 30mph speed limit but got oodles of miles per gallon (if you could stand to ride it that long).